Lookin' Good! 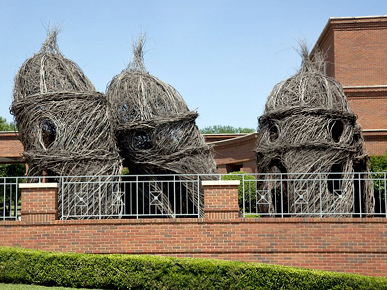 Lookin' Good!, a site-specific sculpture by Patrick Dougherty near the entrance of the Montgomery Museum of Fine Art. The work was constructed in March 2009 and exhibited through May 2010.